When dealing with agencies, be they governmental or within a specific industry, experience has taught people to expect gridlock. Rules and regulations can be difficult and tedious, with communication lapses, missed phone calls, and emails unanswered. Navigating through even the most basic regulatory circumstance quickly seems unbearable, especially for smaller companies with fewer resources. 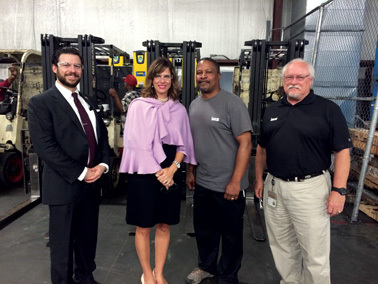 Fortunately for manufacturers in Mississippi, relationships have developed over the years between both governmental agencies and industry groups that help individual businesses tackle the unwieldy world of rules and regulations. Working together for the good of industry and the people of our state, this unofficial consortium smooths the cracks that exist in many other states. For instance, instead of being directed from one office to another while seeking a certain answer to a regulatory question, it is not uncommon for a Mississippi manufacturer to make a call and receive real help from the person on the other end, even to the point of having the answer tracked down for them across agencies. Because of this collaboration, Mississippi companies are offered many services and potential avenues that they might not discover otherwise. Instead of a spirit of competition, we find these partners supporting and helping each other. “Other states don’t have this,” says the Mississippi Manufacturers Association’s Shannon Hood, “this unique relationship, collaboration without competition, checking our egos at the door…this is what’s best for a strong Mississippi.” If one group has an event, multiple groups will work together to promote it, invite and bring any businesses or professionals who might benefit from attending that event. Again, the focus is not on one person or organization getting credit, but collaborating for the good of Mississippi businesses. Working together — one of many strengths of the manufacturing community in the state of Mississippi. 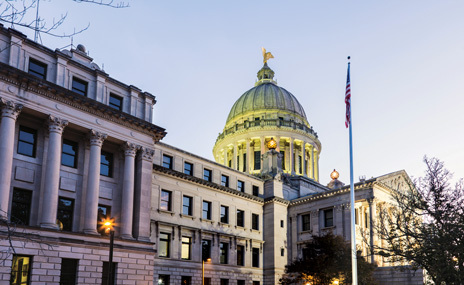 The Mississippi Development Authority is the arm of Mississippi’s state-level government that is charged with the growth and development of Mississippi’s economy. MDA focuses on attracting new business to the state, retaining existing business, helping grow existing business, and promoting workforce development within the state. One of the great opportunities for partnership with and in the MDA is its great experience with project management. MDA helps coordinate with various levels of state and local governments and agencies to see that projects are able to move forward and succeed. This knowledge of facilitation, added to their intimate knowledge of the Mississippi business community, and their goal of growing business in Mississippi, makes them a willing and able partner for manufacturers, and, in fact, any business needing assistance in our state. For more information about the work of MDA, or for their projects and contacts, visit their website at www.mississippi.org. The Export-Import Bank of the United States has an 81-year history of helping U.S. businesses grow their export business to support jobs and the American economy. The Bank primarily fulfills its congressional mandate by providing export credit insurance and working capital loan guarantees for businesses. The Ex-Im Bank has been remarkably successful, generating $7 billion more than its cost of operating over the past 20 years. Support from the Ex-Im Bank helps level the international playing field for the “Made in America” brand by providing much needed funding to American businesses of all sizes. In fact, a great deal of their efforts actually go to support small and medium-sized businesses. In 2014, nearly 90% of Ex-Im transactions supported small businesses. Another great SMB benefit of the Ex-Im setup is that the Bank partners with private-sector lenders for help in securing private funding — there is no competition. The Ex-Im Bank has been a significant support for Mississippi exporters. Of our $343 million in total export value in 2014, $182 million was financed or insured by the Bank. More information about the Export-Import Bank can be found on their website, www.exim.gov. The World Trade Center Association is the largest trade promotion organization in the world, with connections among over 300 World Trade Centers in 90 countries. World Trade Center Mississippi exists to assist Mississippi businesses with international trade in order to support business success and job growth in the state. Their mission statement is to promote international trade investment and tourism with the objective of providing global business connections for Mississippi through customized research, trade education, and events. They work with companies to help re-shore products, find new international markets, and supply trade information. Some of the primary activities of the Center include hosting international delegations, organizing seminars and conferences, and participating in business and cultural events around the world. Perhaps the single most significant service, for businesses in the state, is the research capabilities of WTC. They are able to generate custom reports, detailed analyses about their products and similar products, and export/import figures — all of which help the companies understand how to position their products and how to adequately compete and succeed in the international marketplace. In addition to helping expose the international community to what Mississippi has to offer, the WTC also offers various services to businesses in the state. The most significant of these services are trade help, educational programs, and business networking events. WTC offers educational seminars and resource assistance over a wide range of areas, including global business issues, trade restrictions, taxes, embargoes, and currencies. Other general services available to Mississippi businesses include conferencing space, help with business event planning, and translation services. To get additional information, or to contact World Trade Center Mississippi, visit them online at www.mswtc.org. 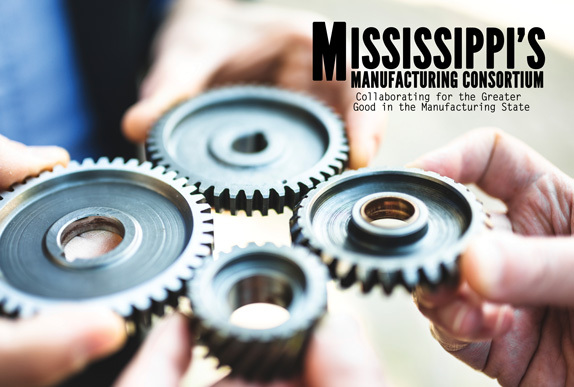 The Mississippi Manufacturers Association has served as the voice of manufacturing in the state of Mississippi since 1951. With a primary stated duty to serve as an advocate for over 2,100 members, the MMA seeks to represent the manufacturing industry with one united voice. The MMA works to help reduce operating costs for manufacturers and to maintain a positive environment for manufacturers in Mississippi. The MMA is vital in making connections between individual manufacturers and government/private agencies. Because of the nature of MMA’s work, they are often the focal point of collaboration between the agencies. Relationships have been built and maintained, and the degree of knowledge about manufacturing culminates in the MMA being a very powerful resource and advocate for manufacturers. The MMA also supports its members through lobbying, newsletters, an industry magazine, training seminars, networking opportunities, and a highly trained staff that is available to assist manufacturers. Their resources include help with environmental issues, employee relations, workforce development, taxes, government relations, and more. For more information, events, or to join the MMA, visit their website at www.mma-web.org. The U.S. Department of Commerce is tasked with helping create conditions for economic growth and opportunity in the U.S. Some of the key areas of focus include promoting job creation, economic growth, development, innovation, trade, and investment. Every state has at least one branch of the department to specifically help growth and development in that particular state. For additional information or contacts, visit their website at www.commerce.gov. The Mississippi Department of Agriculture and Commerce handles much more than businesses often realize. Their overarching task is regulating and promoting agricultural businesses and products within Mississippi, and also promoting all Mississippi products, even those not agricultural, throughout the U.S. and the world. As with the other agencies and groups, their ultimate goal is benefiting Mississippi and her citizens by promoting commerce. Some of the work done by the MDAC includes helping companies find manufacturers for their products in Mississippi, doing research on and for agricultural companies in Mississippi who might need help, assisting Mississippi companies export for the first time, helping obtain certificates of free sale, and helping direct non-agricultural products to the avenues they need to pursue. For more information, or to contact MDAC, visit their website at www.mdac.ms.gov. When a state has a consortium like the one present in Mississippi, very good things happen for business. When Counsel General Louise Blais of Canada visited Mississippi, MDA, MMA, WTC, and the Department of Commerce all partnered together to plan the activities for her visit. Several people accompanied her as she visited various companies, spending the day together and making introductions and connections. As another example, the Department of Commerce recently had a foreign company visit to investigate a potential project on the Gulf Coast. They were able to meet with economic developers thanks to the work of the MMA. The MMA connected them with companies that could provide products and construction services, and the Department of Agriculture and Commerce connected them with suppliers. After the visit, through continued cooperation and work, more potential partners were identified. This company is scheduled to make a return visit to continue considering Mississippi as the location of their project thanks to this team cooperation, which put together all the pieces the company needed. None of the agencies, working independently, could have made this complete of a presentation. The consortium also helps with regulatory issues. One particular company ran across an environmental issue, resulting in fines. They made a call to the Department of Commerce on a Saturday, which then contacted MMA on their behalf. MMA was able to arrange a consultant to meet with them first thing on Monday morning. The consultant was then able to find a solution to their issue, helping them avoid costly fines. There are a multitude of other examples, but it seems sufficient to say that the cooperation we see in Mississippi is a significant benefit for the companies doing business here. Manufacturing has gained enormous momentum in Mississippi over the last 20+ years. Our state has transitioned from a questionable proposition for potential investors to a strong contender for manufacturing projects of any type or scale, thanks in large part to the concerted effort of groups such as the ones featured here. Whether a company is struggling with regulatory compliance, trying to develop their workforce, or seeking to expand operations within the state, they have a strong and consistent group of allies within the manufacturing community of Mississippi.